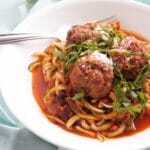 Easy Turkey Meatballs make a quick weeknight dinner or freeze easily for fast reheating. They only have 6 ingredients and are gluten-free, dairy-free, grain-free, and delicious! This easy turkey meatball recipe is for all my busy people (so, everyone?!) – it’s just what you need! Quick, flavorful, healthy, and a superb prep ahead meal. 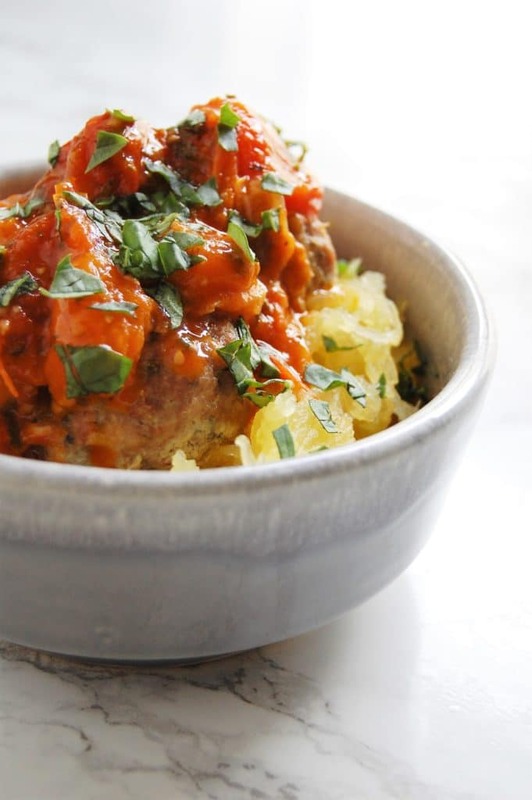 These easy turkey meatballs work great whether you’re hosting a big spaghetti and meatball family and friends dinner, or whether you want to freeze a batch or two and thaw a couple at a time when you need them. If you’re looking for a sauce to pair it with, I recommend my Freezer Tomato Sauce. 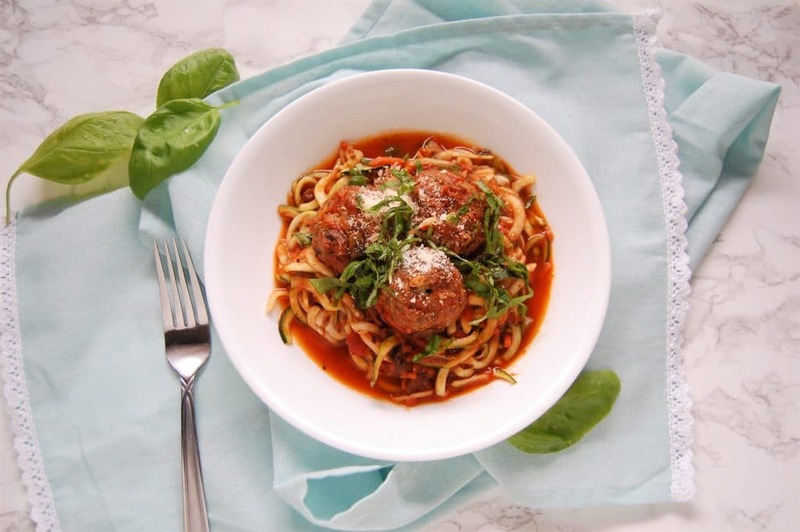 Then when you’re grabbing your meatballs from the freezer, just grab a frozen portion of that Freezer Tomato Sauce along with a few meatballs from the freezer and you’re golden! If you plan ahead, you can even let them thaw overnight/ all day in the fridge and then dinner just needs to be heated when you get home. That is my kind of weeknight dinner! 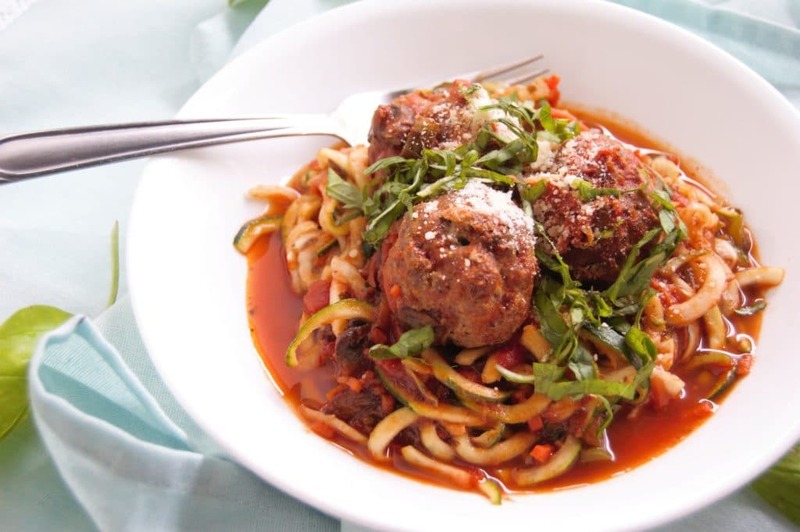 We’ve enjoyed these meatballs plain as a quick high-protein snack, on top of zoodles, spaghetti squash, gluten-free brown rice noodles, crumbled on pizza flatbreads, and in delicious gluten-free meatball subs! Pretty much no matter what, it’s always delicious! 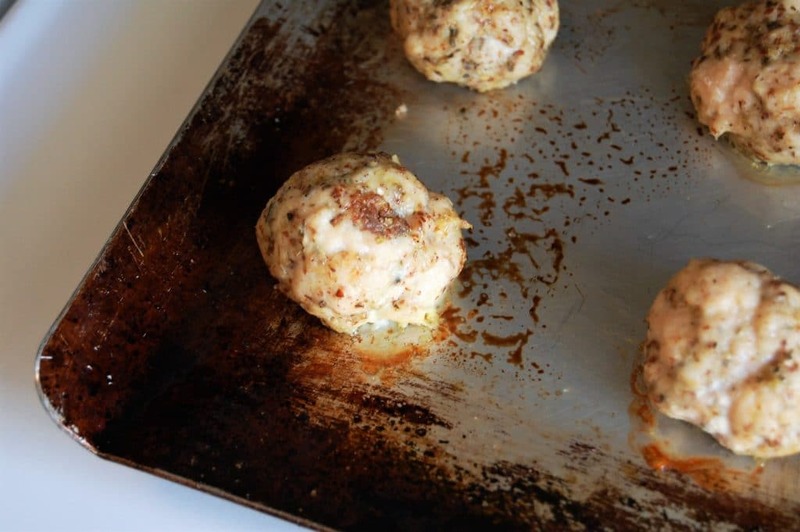 Let me know if you try this easy turkey meatballs recipe!! Feel free to tag @nutritiontofit on Instagram or post it on the NTF Facebook page! Be well! Preheat oven to 350 degrees. Line a baking pan with foil and/ or spray with nonstick spray for easier clean up. Mix all ingredients until thoroughly combined. 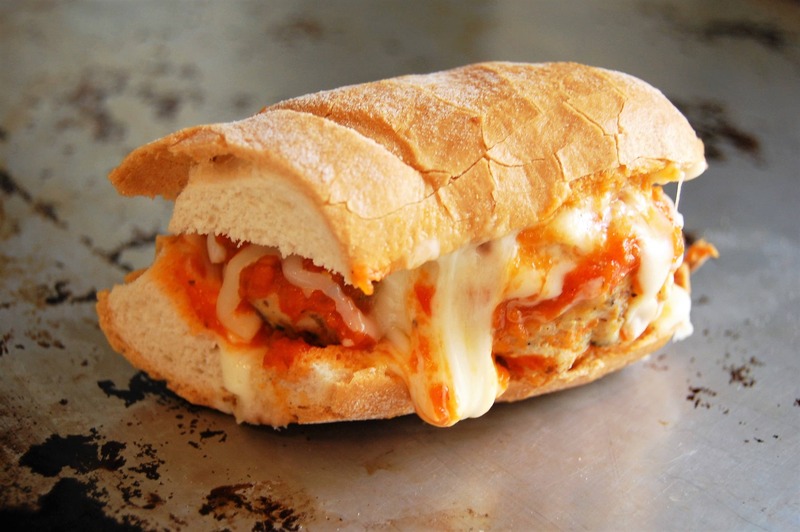 Scoop or roll into 12 meatballs. Bake for 15-17 minutes, or until interior temperature reaches 165 degrees.